Countless sermons and articles emphasize the Christian’s need to read and study the Bible and the blessings one can receive from God’s Word. Unfortunately, though, many Christians fail to receive such blessings because they do not know how to read the Bible. Some try to read through the entire Bible and began reading at Genesis 1, but give up within a few weeks because it takes too long. As we approach Bible study, we would be wise to remember the profound counsel of this corny quip: “How does one eat an elephant? One bite at a time!” Reading the Bible should be a lifelong project for the Christian. Disciplined avid readers will be able to read through the entire Bible, from Genesis through Revelation, in about a year. Extremely ambitious ones will do it in a shorter amount of time: When I was new to the faith, I read through the Bible in about seven months. Since then, I have taken a more deliberate approach. Having read through the entire Bible on a few occasions, I now focus on shorter passages; my goal in Bible reading is quality of insight and personal application, instead of quantity of chapters. First, you must have a good translation of the Bible to read. It must accurately translate the thoughts and ideas of God’s Word (which was originally given in Greek and Hebrew) into easy-to-understand English. I strongly recommend either the English Standard Version or the New American Standard Bible. The New International Version is also a reputable, reliable translation. The translators of these versions painstakingly examined ancient manuscripts of biblical books to discern what the author actually wrote and to express it in modern English, so that the average American can understand it. Now that you have an accurate and understandable Bible in hand, you should have a plan for reading and study. Although we should allow the Holy Spirit to lead us in all things, especially study of His Word, He usually does not give us immediate clear direction to a specific Bible passage. Some Christians like to open their Bible at random and just start reading; or, they will read the first passage that jumps into their heads. Although this might be helpful from time to time (the Holy Spirit may direct us to a specific passage in a moment of crisis), it will not ensure that you will gain a thorough knowledge of Scripture. Many Christians who rely on these approaches tend to read a few favorite passages over and over again. You should seek a Bible reading plan that will direct you to diverse segments of the Bible, ideally one that will lead you to eventually read the entire Bible. As I mention elsewhere in relation to prayer, you should set aside several times every day for Bible reading. Psalm 1:2 encourages us to meditate on God’s Word day and night. My “three spiritual meals” philosophy applies here as well. Just as we eat food at least three times per day, we would be blessed by spiritually “eating” God’s Word three or more times per day. See my article on “Finding Time for God,” where I mention the three spiritual meals concept. Combine readings from different books of the Bible. Several churches, organizations, and ministries have devised Bible reading plans that will guide you from Genesis to Revelation within one year. However, many of these plans lead you directly from beginning to end, so you do not enter the New Testament until September. This is not conducive to a healthy spiritual diet. A good Bible reading plan will effectively intersperse the Old and New Testaments. The Daily Office lectionary in the Book of Common Prayer provides, for most days, an Old Testament lesson, several Psalms (you essentially read through the psalms every few weeks! ), a New Testament reading, and a reading from one of the four Gospels. Although it skips over a few passages (it avoids a number of the lengthy genealogies in the Old Testament, for example), it does offer a balanced mixture of Bible passages. It is also at times “season-sensitive”: the readings during Lent, the weeks between Easter and Pentecost, Advent, and the weeks following Christmas all relate to themes appropriate to the season. You read about the birth of Christ around Christmas, and about His death and resurrection around Easter. Likewise, The One Year Bible divides the Bible into readings for each day of the year; each day’s reading includes passages from the Old Testament, New Testament, Psalms, and Proverbs. While it covers the entire Bible (no passages are missed), it lacks the season-sensitive quality of the Book of Common Prayer. Instead of reading about the birth of Christ on December 25, you will probably read a passage from the Book of Revelation. Halley’s Bible Handbook contains a chapter that assigns books of the Bible to each week of the year. One week you will read from the Old Testament; the next week you will read from the New Testament. 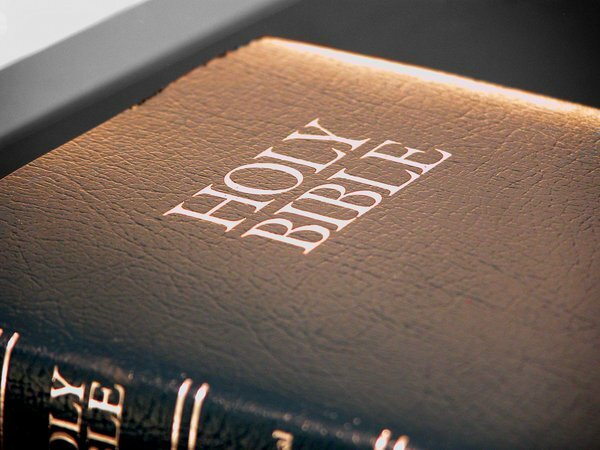 Like The One Year Bible, it guides you through the entire Bible within one year, without forcing you to go eight or nine months without cracking the New Testament. This plan also assigns a book (or set of books, or large part of one of the longer books) to a week; it is the individual’s responsibility to decide how many chapters to read each day to meet his goal. As a result, Halley’s approach to reading through the Bible requires some extra planning on your part. Devotional guides, such as Our Daily Bread or The Upper Room, offer more aid for Bible reading. These booklet-sized magazines (usually published quarterly) provide a short Scripture passage for each day, along with a one-page meditation or application about each passage. Some such devotional guides close with a suggested “starter” for prayer. Select a plan, or combination of plans, that will suit your personal needs. If your church or ministry has a Bible reading plan, make sure to include it in your devotions. As a member of the Brotherhood of St. Joseph, I have taken vows to follow the Daily Office of Prayer from the Book of Common Prayer. In addition, I supplement my reading with passages from the BCP’s Sunday-worship lectionary and from other sources. Pray for guidance and insight as you read. The Word of God requires spiritual discernment (First Corinthians 2:14–15). Therefore, we need to ask the Holy Spirit to teach us through His Word. You should seek spiritual growth as you read. Do not read merely for entertainment, to learn facts, or to reinforce favorite doctrines. As you read, tell yourself, “God wants to speak to me through His Word. I need to hear what He wants to say to me.” Likewise, pray as the psalmist said, “Search me, O God, and know my heart; Try me and know my anxious thoughts; and See if there be any hurtful way in me, And lead me in the everlasting way” (Psalm 139:23–24). Read the passage thoughtfully, and repeatedly if necessary. If it is a short passage, perhaps 10 verses or less, you might read it two or three times. If you are reading the Bible with a devotional guide, or a study Bible with notes and commentary at the bottom of the page, you might follow this order: read the passage from the Bible; read the devotional, notes, or commentary; and reread the passage. You may find it necessary to read the passage only once if it is lengthy. If you are reading a few chapters, pay close attention to the “big picture,” such as the flow of thought, context, and so on. Read deliberately. I generally try to look for perhaps one key idea to bring away from a passage each time I read it. Interpret the Bible wisely. Many Christians go to one of two extremes when reading the Bible. Some people “spiritualize” everything they read in Scripture, without first seeking out the most natural meaning intended by the writer. They might focus so heavily on a possible symbolic meaning of a number, or how a color might symbolize an attribute of God, that they ignore the plain meaning of the text. Still others insist on interpreting every passage as literally as possible, even if the writer used a literary genre that relied heavily on symbolic language. For example, the Psalms are song lyrics or poems, and therefore use words in a way that would be unacceptable in prose. Some of the prophetic books, especially Revelation, used a literary genre known as “apocalyptic,” which demands a less literal interpretation. “Prophecy experts” who overlook this fact, and ignore the way that Revelation very often quotes or alludes to the Old Testament, have been guilty of some of the most embarrassing attempts at theology in our time. Peter wrote, “But know this first of all, that no prophecy of Scripture is a matter of one’s own interpretation, for no prophecy was ever made by an act of human will, but men moved by the Holy Spirit spoke from God” (Second Peter 1:20–21). Therefore, we must not try to read a message into a passage of Scripture. Instead, we should first try to draw out of it the natural meaning that the human author intended to convey (i.e., the most obvious meaning of the words, in light of their context in Scripture and in the writer’s time and culture). God has chosen to speak through people, and to express Himself within the confines of human language and communication. As a result, we should expect that He has chosen to follow the basic rules of language and communication. Some people interpret Scripture without considering the natural meaning of the human author; this is little more than a demonic or egotistical attempt to create a false god of one’s own making, twisted out of the words of the One True God. What is the immediate context? What precedes this passage of Scripture? What follows it? What is the time period and cultural context of the writer, and of the people in a Bible story? What was going on in the world at that time? What is the situation? If it is a story, how did this come about? To whom is Jesus speaking? 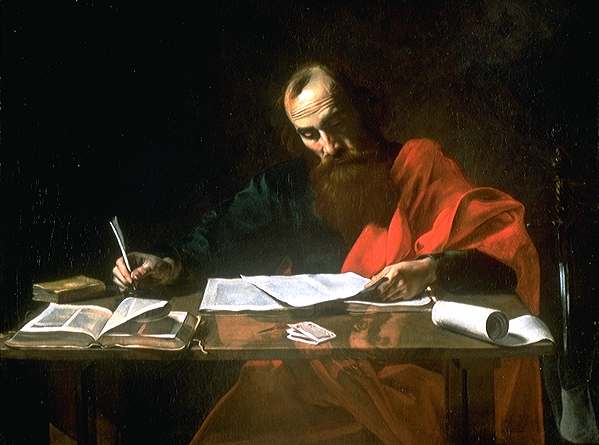 If it is a prophecy or one of Paul’s letters, what led the author to mention this? What is the literary form or genre of this passage? As mentioned before, historical stories should be read differently from songs, poems, apocalyptic literature, and letters. When we read a Sunday newspaper, we read the comics from a different perspective than we read the main news stories and the editorials. In the same way, we should keep in mind that history, poetry, letters, and prophetic visions all serve different functions of communication. Any “spiritual” meaning that is not grounded in this natural meaning could be inspired by the wrong spirit. A resourceful reader might invest in good reference materials that will provide background information to help you study God’s Word. A good study Bible, Bible handbook, Bible dictionary, and commentary will give information about the culture, language, history, and other factors related to passages of the Bible. You should look for recent publications. Bible scholars have published many excellent reference materials throughout the centuries. However, the discovery of the Dead Sea Scrolls in 1948, and other archaeological finds since then, have multiplied our knowledge about Jewish culture and world events during the times of the Bible. While some nineteenth-century commentators had profound insight into Scripture, they did not have access to some of the background information we have now. A few good study Bibles fulfill the roles of multiple reference materials. The NIV Study Bible and the Full Life Study Bible are two excellent resources that help explain the meaning and background of the Bible. They contain the Word of God at the top of the page, with explanatory notes and background information at the bottom. Cross-references are provided to direct the reader to related passages in the Bible. Both of these study Bibles, and many others that have come out in recent years, are very readable, so you do not need to be a Bible college graduate to understand them. Having read and interpreted God’s Word, it might be helpful to write a one-sentence summary of the passage in your spiritual journal. What is God saying through this passage? Having figured out the meaning of the passage, personalize it. Ask God how this truth affects you individually. How does it affect your job? What does it say about your relationships with family, friends, and co-workers? Does it mention any sinful actions and attitudes that you must confess and repent of? Does it mention anything you should do more often? Develop a strategy for incorporating this passage’s guidance into your life. Ask the Holy Spirit to guide you as you seek to apply the principles of God’s Word to your everyday life.